He was even nice enough to install an ADSL filter to get her internet going. After about 2 days, the internet stopped. She called Optus technical support, and the support lady spend a good 2 hours trying to help, before saying that the problem was with the computer. When I got there, the ADSL modem was showing all the correct lights, but I soon found out that the PC had no ethernet drivers. In these cases, I usually just connect my android phone, switch on its USB tethered mode, so that it acts like a modem, and then download the drivers I need. But the Windows 7 PC would not load the USB drivers for my phone. OK, back to my office, and a virus scan detects no infection. I download the ethernet drivers from the HP website, and then the PC is back to working on my internet connection. So what happened was: Optus tech would have guided the customer into removing the ethernet drivers (thinking they will automatically re-install after a re-boot)… and then ended up blaming a computer fault for the “extra” problem. But events often conspire against me. Still no internet, but this time, I can connect to the modem, and I see it thinks there is no internet connection. Excuse me Mrs customer: do you have any other phones connected in your house? Mrs customer: Why yes! Besides the one in the computer room, there is also one in the kitchen! Back to Optus, and the tech says: hmmm, there is an issue on the line, I’ve raised a request, and if you wait on the line, it will be rectified in about 5 minutes. After 5 Minutes, I’m asked to restart the modem… and finally, the internet is back. This one will only apply to people who live in Australia. I don’t often advertise goods and services for other companies, but after 7 years with the same ISP, and having helped many people with changing their current plan to a much cheaper one, all without asking for anything in return, I decided to become a TPG reseller. I’m hoping to generate a small amount of revenue from being a reseller, but my main aim is to let you know that I’m so happy with my own personal experience with TPG over such a long period, that you can genuinely save a lot of money by switching to TPG. I regularly look around for cheap internet plans, but in the last 7 years, I’m yet to find a company that provides a better value internet service than TPG. Since I do a lot of my work on the internet, and I also design websites, I find I spend most of my time on the internet… probably more that most people. For that, I get 50GB per month, which I rarely exceed. And on top of that, the 50GB is actually split into 25GB peak, and 25GB off-peak… So I rarely exceed 25GB per month during normal daily hours. And the internet is used by 3 active PCs, 2 mobile phones, and a few android tablets. Although there are several options available for types of internet connection, the truth is that there is not all that much to consider to get the basics right and make sure you get a suitable plan from the right internet service provider (ISP). 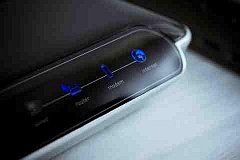 Your internet service should be tailored to fit your use, and the process of making that discernment is quite simple. Here are some things to consider. Before we get too involved, we need to find out what broadband services and packages are available in your area. Different locations have different options for going online, and there is no point considering options that just simply are not available to you. You will also need to consider whether the internet connection is for a home, business, or for a mobile device. These considerations will have a great impact on your needs. If you live in the US you can search for here for an ISP in your area or State. If you are in need of a mobile internet connection, you will want to consider what your data requirements are. If you are just using it for email and occasional web surfing, you will want a package that saves you money while giving you enough data usage. If you are streaming video or music, downloading games or other applications, you will want a high volume or unlimited data plan. You can use mobile broadband with your laptop or mobile device, depending on which is most convenient for you. Talk to your cellular provider to find the best package. For a home broadband connection, you will also want to consider your internet use. DSL offers a fair selection of bandwidth for the casual broadband user. You can stream videos, download music and movies effectively, and perform internet related tasks fairly quickly and efficiently. There are certain bandwidth limitations with this technology, so if you are running several computers in your house on a wi-fi router, your connection may bog down and feel slow. DSL is carried over the telephone wire, and is most often offered by your telephone service provider. You can, however, get this service without a land line phone. Cable Internet has a larger conductor, and therefore is able to carry more bandwidth to your home or office. When you are providing broadband internet connections to an entire local area network, or if you have speed requirements that exceed most residential needs – like online gaming and high volume uploads and downloads, you may want to opt for this high speed alternative. As with DSL, the cable internet speed can be limited by the number of users in your neighbourhood or your network, but base speeds offered tend to be higher dollar to dollar. Which brings us to one of the most important considerations; cost. Initial setup for any new internet provider is usually low, and providers offer specials all the time. You will want to be aware of any rate increases after a certain time. Many packages offer a very low price for the first six months, and then increase the price drastically after the introductory period. This can come as a surprise if you are not aware of the practice, so look over the agreement closely, and ask your provider questions. If by chance, you are in a rural area, you may have to look into satellite broadband. This service is available in many areas where other options do not reach. You will need to talk to your satellite provider to find out what options are available, as they vary greatly from one to another. This is a guest article by Spencer Hogg who writes or Broadband Expert where you find internet service providers in your area and compare prices on different deals. CD in the floppy drive! A new customer calls, saying he is trying to connect to the internet, but the disk is stuck in the drive. I take a close look into the floppy drive (it has one of those spring-flap doors that keep the drive internals a bit less dusty… I eventually see that there is a small 8cm cd in the drive! Every time I open the floppy door, it catches onto the bottom of the CD, so that I can’t get a good grip. A customer needed some help with microsoft outlook (receiving emails but not able to send). He has a new laptop & the wife has an older laptop. Once I get there, it starts looking a lot more complicated. They are running microsoft small business server, with exchange server. I think: this shouldn’t be too difficult, I was once an NT system administrator (10 years ago! ), so I should be able to fix a small mis-configuration. They are only using 1 email account (exchange server is probably overkill), so it’s looking promising. Apparently the whole system was set up by a somewhat unreliable computer technician, who could not (or would not) fix all the issues with the system. I look at the server & after some time familiarising myself with the setup, I notice that the email account is close to its max quota. Just to stop the hassle of email messages about “you are going to exceed your limit”, I increase the max limit. Outlook on the older laptop is not receiving or sending emails… the wife connects to the server via remote desktop & runs outlook on the exchange server… that’s not right… but it works. The new laptop is a little better… it seems to show the email contents (ie the received emails) correctly, but cannot send emails. – an account that connects directly to the isp account… now this shouldn’t be necessary, the exchange server should handle that. Anyway, I change the order of the accounts, so that the exchange server account is first, but it still doesn’t work. It looks like my predecessor might have had some trouble configuring the exchange server, so he tried to work around it by setting up the direct isp connection (the way I’d expect outlook to work without the exchange server). Now I try many combinations with outlook (over 2 visits) but I just cannot get outlook to work consistently & I don’t have the diagnostic knowledge of outlook & exchange server to be able to fix everything. I can ping the isp mail server, but cannot get outlook nor outlook express to connect to the isp mail server… very odd. There is not much info on the web, so that doesn’t help. In the end, I admit defeat & recommend that the customer finds someone who specialises in exchange server, as there could be multiple problems; and although I’d love to fix the problem, it would take a lot of my time & it wouldn’t be fair to expect the customer to wait while I spend days experimenting, when all they want is to have it fixed “now”. Maybe someone can point me towords a good resource for diagnosing exchange server / outlook problems? A business customer rings with an odd outlook email problem: it keeps resending emails (multiple times)… which make the company look unprofessional to the recipient. I do my usual badware & virus check, but find nothing (laptop already has the trend antivirus). So while the ewido scan is in progress, I do some ping tests & notice ping times around 1000 to 2000 ms (to google.com.au)… they should be around 200 to 300 ms. I notice the telephone cable is plugged into one of those surge-protector boards. I bypass that, just to eliminate it from the equation… but nothing changes. I then shutdown outlook, & everything is quick again…hmmm. I look at the email sitting in the “outbox” folder, & it has an 8MB attachment… A touch large for an email attachment… it’s a tif image from a scanned image… and smaller emails go through without a hitch. So I check out the ISP (telstra bigpond), to see what kinds of limits they have on their SMTP servers… there doesn’t seem to be any size limit, but after some more digging, I find some obscure references to a 20 minute smtp limit… ie if you can send an email within 20 minutes, fine (so the faster your internet connection, the larger the attachments you can send). I suspect that if the email takes longer than 20 minutes, then the smtp server just truncates the email & sends it “as is”… At the other end of the connection, Outlook (or should it be called “Lookout!”?) gets an error message, so it shrugs it’s shoulders & tries again (thus multiple emails get sent). Now I do some simple sums: assuming a slow adsl connection: 64kbitsps uplink, and a 9Mb email (90,000 kbits), then the email should take 90000/64 =1400 sec =23 minutes… but a faster adsl should not have a problem with this… and the customer is unsure of the adsl speed. I also notice that trendAV also scans email (incoming & outgoing)… So scanning outgoing emails could slow things down a lot… I disable the outgoing AV scan… & I suggest that they try to keep attachments to below 2 or 3 Mb. Outgoing emails now work fine, as long as the email size is kept to something reasonable. Everything else is fine… I find some spyware running on a second computer & install some anti-badware measures. Well, I finally got my first dissatisfied customer. A lady needed help re-installing ADSL internet, after a PC rebuild. She didn’t have her adsl password, so I just got the isp to reset the password. End of story (so I thought). I get called back a few days later (she used incredimail before the pc rebuild & really liked it) saying she doesn’t like outlook express & needs to have the outlook details entered into incredimail (which she installed herself). No problem, I copy the details across, & while I’m there, she is happy for me to install my anti-spyware software and disable outlook express, so she can only view existing messages, but not send or receive new emails. She doesn’t have the full payment, so I let it slide, & she says that the remainder will be waiting for me next time I’m passing by. I pass by 2 days later & she asks if I can take a quick look at a printing problem. Printing from incredimail only seems to print a “screenshot”… ie the to & from fields, a scroll bar, and only part of a message. I notice the printer has been re-installed a few times & she complains about how intrusive winpatrol is… and how outlook express is still active. What? I had put false pop & smtp server names into OE, so there is no way it can still be active. I take a look & I can see OE has about 4 emails sitting in the outbox (but not sent). Obviously someone mistakenly wrote those emails in OE instead of incredimail. I try to subtly hint at this. Hint is probably too subtle, as there is no acknowledgement by the customer. I leave OE, disable winpatrol, & focus on shittymail incredimail. But it has no print preview & doesn’t have much in the configuration/customisation area. Wait 2 minutes at the shutdown screen before using the power button to force a switch off. Wait 3 – 4 minutes at the xp startup screen, before realising that there is no disk activity, but also no login screen (just the XP bar moving across the screen). Anyway, she wonders aloud about just how experienced I really am & she is not at all happy about what I have done (and what she has paid). I offer to fix the computer overnight & bring it back to her the next morning, but she refuses. So all I can do is give her a full refund, and apologise … although I didn’t do anything that could have caused the computer to behave like it did. She “knows” I’m the only one to have worked on the computer, and so it must be me, since it was working perfectly when I connected the ADSL internet. I didn’t mention that she installed the printer drivers & incredimail… it would just inflame the situation. The next morning she sends an email saying that the computer started normally that morning & that there are no hard feelings. (and maybe I should carry a database of all known computers with me, so that I can fix these sort of problems). From now on, I won’t work on systems that have incredimail (except to remove it like any other spyware infestation). Another customer with a difficult ADSL internet connection. I do my usual spyware check & fix a few nasties (but I don’t need to work on the PC from the office). The internet connection still doesn’t work, so we ring the isp & ask for a password reset. We are back on the air, but the connection will still drop out every minute or two… client says she has noticed that the internet became unreliable 2 weeks ago, and she also noticed the telephone line was “noisier”. I connect a very short telephone cable from the wall outlet to the modem, & a 12 meter cat5 utp ethernet cable from the modem to the PC. The noise is still there, the internet connection is still flakey. Client comments that there is a new housing estate being built nearby & it is possible that telephone work on the estate has caused problems in the neighborhood. Customer is happy to ring the ISP herself & give them hell until they fix the problem, and I don’t want to increase my fee by just waiting on the phone, so we leave it at that & I’ll check back in a few weeks. A small business customer has a computer with 3 hard disk caddies… but doesn’t use them for backups, instead, they are used as 3 seperate “systems”… 1 is windows 98, the other 2 are winXP. They also have a new laptop that they need configured (they already managed to setup the wireless, so I’ll check the wireless security & find out why some of the other “caddy” systems won’t work correctly). I setup WPA-PSK security with a nice long passphrase & activate MAC address filtering. I also setup antivirus & antispyware on the laptop. The main PC needs a lot more work, so I take it to the office & work on all the 3 caddies (its like working on 3 seperate computers, so it takes a lot longer). I ask why have seperate caddies, as it could cause problems (eg email split amongst caddies), but customer also uses the caddies on another system (located elsewhere), so I guess thats ok. Anyway, all is fixed, spyware is removed, and customer is happy (except for the internet, which suddenly stopped working as I delivered the system… It might seem like a strange coincidence, but it turned out to be an ISP problem, which got resolved many days later). A customer is referred to me via a department store. He needs his new laptop plugged in and setup… and if possible, setup his broadband connection. This can end up being very simple, or quite complex. So I’ll see what happens when I get there. Once there, I find (as expected) the laptop barely out of the box. However, the customer tells me that he bought it to replace the old system that got zapped by lightning. So the good news it that the broadband connection should be quick to setup… since the modem is still working from the prior pc… just swap the the old usb cable with a proper utp network cable from laptop to modem. I start the laptop & complete configuring win xp. Once complete, I connect the internet & start running updates. While this is happening, I notice Norton IS hasn’t started automatically (as it usually does), so I decide to avoid mucking around with norton & install antivir (http://www.free-av.com/), once the windows updates complete & the system is restarted (twice, since the winxp updates needed two rounds of updates), norton then decides to show up… grrr. Customer prefers norton, so I disable antivir & let norton complete its VERY lengthy update process (one of the many reasons I don’t like norton). While norton is busy choking the broadband connection, I also try to setup outlook xpress with minimal user information… A quick (ok then: slow due to norton) browse of the ISP website, and I find the pop & smtp server information that I need. At this point, I decide to finish by connecting the laser printer & the parallel port zip drive (client uses the zip drive for backups, but doesn’t have any cardridges… Ben has them… Ben is the customers usual IT support guy, but he is away for a while, so it looks like i’m taking his place). I must be going blind: I just cannot find the parallel port. This laptop has all the ports a computer could ask for, even firewire & a multi-flash card reader… but no LPT port! This is the first time I have ever seen a pc without a LPT port. I can understand an ultralight ultraportable not having some port, in order to lose some weight, but this beast is a widescreen job, with 3 cooling fans underneath, and overall quite heavy. It has an expansion port, which might plug into a docking station (with parallel port), so we call the dept store, only to be told by the salesman that there is no LPT port available for this model. I think: salesmen are not technicians, so he could be wrong. I tell the client that I cannot do anymore at the moment, but I’ll research some options for him. Overall, I managed to do most things. Its just the printer & zip drive that need some “fixing”. 1) The zd8000 has no LPT port. 4) The other alternative is to get a new printer, but thats even more expensive. 5) Another option would be to return the laptop & demand a different one (one that has an LPT port). I have given these options to the customer. He will think about them & get back to me in a few days time. A gentleman called saying that he got a new PC, but he couldn’t connect to the internet. He has cable internet a few weeks ago, but his PC broke down & he only just plugged in the PC. He also tried the PC at his brothers place, & he was able to connect without a problem. I wonder if this is just a faulty cable, or a faulty modem. Once I get to the house I ask a few more questions & I find his brother has ADSL internet, not cable internet, & his brother also has a router, so he can connect a few PCs, whereas my client connects directly from PC to cable modem. The ISP is telstra, & I’ve used cable internet before (with Optus), so they should be similar. After an hour of trying to “ping” the modem , trying different ethernet & USB cables, I couldn’t get to the modem “configuration” web page… unless I unplugged the modem from the “thick” cable… it just didn’t make sense! I call telstra & I quickly find out that “Telstra does it differently”… You cannot communicate with the modem unless your pc runs a special “monitor” program in the background… So I ask the obvious question: what if I connect the modem to a router… the router cannot run the “monitor” program. But the tech assures me that as long as 1 PC on the router network is running the “monitor” then everything should be fine. Anyway, after some confusion about passwords, everything is working fine. I help setup the email, & then go my merry way.